Can A Hashtag Change Healthcare? The first time I read this quote from Dana Lewis, moderator of #hcsm the premier tweet chat on healthcare, I was gripped by the notion of how Twitter and in particular tweet chats could influence the way we practise healthcare. Social media is a radical shift in the way we communicate. The healthcare conversation is no longer a one-way narrative but is evolving into a global, participatory discussion. One of the most powerful ways I see this happening is in the modality of the tweet chat. The role Twitter plays in breaking down patient/provider barriers, disseminating and expanding the reach of healthcare information, widening social networks and co-creating a collaborative model of shared health information is one of the most exciting developments in social media. For those who may be unfamiliar with the phenomenon of a tweet chat – it is a pre-arranged chat that happens on Twitter through the use of updates called tweets. It includes a predefined #hashtag which links the tweets together in a virtual conversation. Most tweet chats follow a common format of a moderator who introduces pre-arranged topics relevant to the chat and keeps the conversation on track. The chats usually last one hour and a transcript of tweets is available after the chat has ended. Symplur is doing an impressive job of compiling all of the healthcare hashtags and providing chat transcripts in The Healthcare Hashtag Project. The goal of the project is to make the use of healthcare social media and Twitter more accessible for the healthcare community as a whole (a full list and a tweet chat calendar of meeting times can be found on the Symplur website). What Is The Impact Of Tweet Chats On Healthcare? As a relatively new technological innovation, the use of Twitter as a modality for health communication is only now beginning to be explored with particular emphasis on the role Twitter may play in contributing to health based conversations directed at individual, community, and societal levels. Many times, people’s choices in terms of Personal Health Practices (PHP) are context dependent and socially constructed. 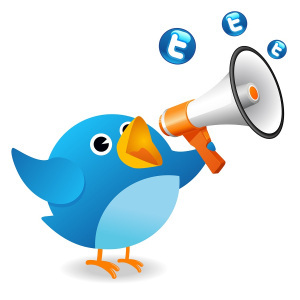 Healthcare tweet chats have tremendous potential to motivate participants and encourage change. Much of this change comes from peer-to-peer support which has been shown to be highly effective in motivating change. Many participants share conversational and informational knowledge that they believe is valuable both to themselves and others. Studies show that individuals enrolled in meaningful social networks have protective properties in terms of overall health and wellbeing. Healthcare tweet chats provide participants with a sense of community and valuable opportunities for meaningful exchange and positive interactions. The impact of digital technology in healthcare is leading to changing expectations by health consumers who, along with a desire to share information and connect with others, increasingly want to interact and engage with their healthcare providers. Twitter has also facilitated the emergence of the “patient opinion leader” an individual who is seen as an expert in chronic conditions such as cancer. Gunther Eysenbach refers to this group as “Apomediaries” – individuals that assist in the process of information searching but do not act as a gatekeeper. So, what’s in it for healthcare practitioners? Dr Bryan Vartabedian (@Doctor_V) of Baylor College notes of social media “the greatest value of this medium is the breakdown of barriers that have traditionally come between doctor and patient.” It is encouraging to see the increasing participation by doctors in many healthcare tweet chats, reaching out and sharing information, but also listening too. Twitter offers opportunities for healthcare to reach out to patients in new and valuable ways. These [social media] tools help us reach so many more people; we can bring shared interactions into our practice and that is powerful … This isn’t an addition to your job. This is part of your job. This is a conversation, and that is what we are trained to do … This is where our patients are these days and this is where we need to reach them. We can engage learners, patients and peers, and we are not limited by geography or time – Farris Timimi, M.D., medical director for the Mayo Clinic Center for Social Media. Another striking feature is Twitter’s crowd-sourcing capacity which allows health consumers, researchers and practitioners tap into a global source of advice, support and information. Twitter also provides a unique opportunity to learn from patients’ direct experience shared during these chats. If healthcare innovators and providers wish to remain relevant and connected to digitally enabled patients, they need to go where the conversations are – more and more those conversations are happening on Twitter and the evolving dynamic of the tweet chat is the best place to find them. Research on how social media enables individuals to build “Strong & Weak Ties” is somewhat lacking, however there are papers like this one from Cornell http://www.cs.cornell.edu/home/kleinber/networks-book/networks-book-ch03.pdf & another from MIT http://www.mitpressjournals.org/doi/abs/10.1162/LEON_a_00573 that support the power of people participating in networks. complex eﬀects that ripple through a population as a whole. I submit that it isn’t just social media, it is social powered by mobile media (smartphones) that enable people, care givers and patients alike to build the ties that inform and support. Thanks so much for your pertinent comments Damian – you raise some good points and I too would like to see more research in this area. As a patient participant I can certainly testify to the knowledge I’ve gained and the connections I have made both with peers and healthcare professionals – something that was very much lacking in my day-to-day interaction with the medical profession. Thank you so much Liam. I’ve loved seeing how much you have grown #IrishMed tweet chat and how it has become a mainstay of the Twitter healthcare conversation in Ireland and further afield. Keep up the great work.